The most common devices associated with engineered prototype PCB assembly designs and implementation include computers, cell phones, TVs, radios, digital cameras, and host of other plug-in and battery operated devices. Although, printed circuit board assemblies are not limited to consumer electronics, there are various industries that rely on this technology as well. Read on to learn more about the different industries that use PCB assemblies to help power their electronics. The medical field is heavily dependent upon electronic devices to not only administer medication but also provide valuable information and monitoring. Because many electronic devices are now denser and require less power to operate, it has become possible to test new and exciting technologies. Because medical devices need to be small and as dense as possible, they utilize high-density PCBs. High-density PCB assemblies allow medical equipment to accommodate the unique requirements that many devices face, that allow them to be small and lightweight. PCB assemblies can be found in pacemakers and larger medical devices such as X-ray machines and CAT scan equipment. PCB assemblies are commonly found in high-powered industrial machinery where they utilize thick copper PC Boards in lieu of one-ounce copper PCBs. Most often, these are found in motor controllers, high-current battery chargers and industrial load testers. LED lighting has rapidly gained in popularity, due to their low power consumption and high energy levels. Ironically, the PCB assemblies that are used to make these lights also require low amounts of energy. The specific type of PCB assembly allows heat to transfer at a higher level than standard PCBs. Both the automotive and aerospace industry utilize flexible PC Boards, as they are designed to withstand the various high-vibration environments which are commonly found in both. 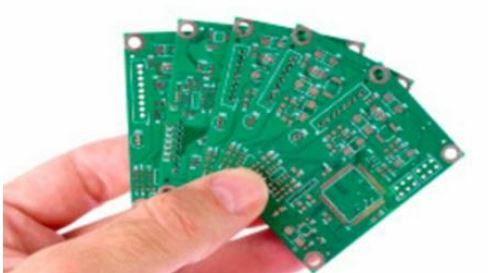 Depending on the specifics of the device, these types of PCB assemblies can also be lightweight. Other restrictions that are common in both the automotive and aerospace industries is that PCB assemblies need to fit in tight spaces, like an instrument panel or behind the instrument gauge on a dashboard. As you can see, PCB assemblies are everywhere! Whether you are in need of a lightweight, compact, or any other prototype PCB assembly, BestProto can provide design, engineering, and assembly services for a variety of industries.